I recently wrote about the possible new trend of wearing fashion backpacks! Well, if you want to try out the trend without feel like you could end up wasting money, how about a convertible bag? Get sick of the look, or feel like backpacks just aren't for you? 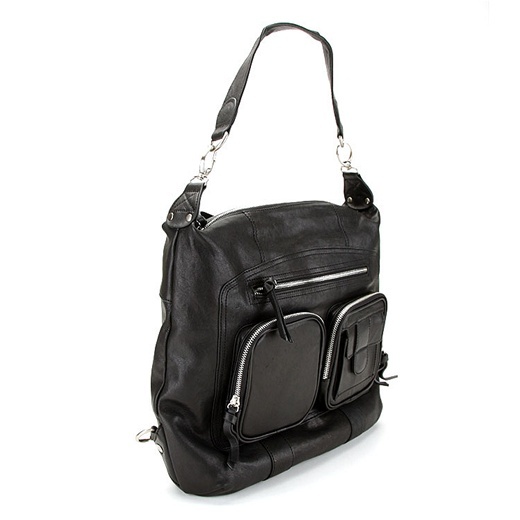 Just trun the bag into a tote or shoulder bag, hooray! 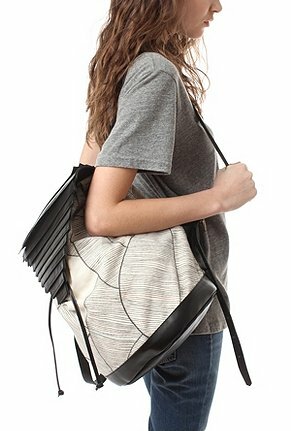 This bag at Urban Outfitters is a pricey $358, but you have to admit it has quite a cool look! If you prefer something a little more affordable, I found this nylon bag for $225 at Neiman Marcus. I personally don't believe in spending more than $100 on ANY nylon bag, so here's a classic chic leather one that turns into a backpack! Buy at Lori's Shoes for $218. 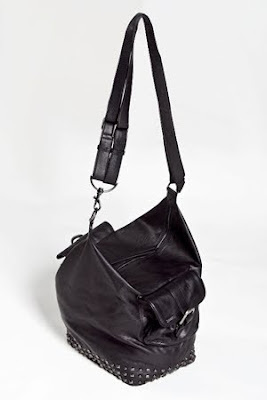 Finally this studded shoulder bag also transforms into a backpack, and is relatively affordable $130 at Obey Clothing.